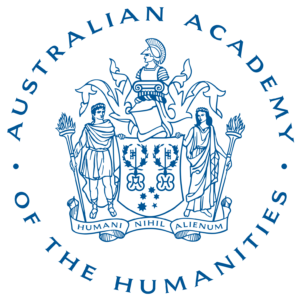 The Academy’s second annual Humanities, Arts and Culture Data Summit and third international DARIAH Beyond Europe workshop will be held at the National Library of Australia in Canberra. An Australia-Europe knowledge exchange, convened by the Academy with the Australian Research Data Commons (ARDC) and the European Digital Research Infrastructure for the Arts and Humanities initiative (DARIAH), this event will explore new horizons for data-driven humanities and arts research, digital cultural collections and research infrastructure. In a series of ‘big ideas’ panels, we will explore new horizons for humanities, arts and culture, research, policy and infrastructure. What are the big challenges and opportunities for data-intensive research over the next ten years? This panel will discuss digital transformations in the humanities and arts, data ethics and sovereignty, and infrastructure with impact. How do we design infrastructure that connects? This panel will discuss collaborative platforms, partnerships between research and cultural sectors, and libraries as labs. Professor Jennifer Edmond, DARIAH’s President Board of Director, will present on pathways to building sustainable infrastructure over time, future directions for DARIAH and the humanities and arts in Europe and beyond. What skills, knowledges and workforces are needed into the future? This panel will discuss interdisciplines and methods, emerging data practices, and ‘Humanities 4.0’. In a series of interactive knowledge exchange sessions, speakers will critically reflect on themes and explore points of intersection and interaction, specifically areas in which we might build fruitful, long-term collaborations. Moderated discussions in each session will identify common opportunities and challenges and seek out joint solutions. The Lightning Talk feature of the program consists of a series of 5-minute talks given by selected delegates on current projects and research designed to challenge and inspire. The workshop feature of the program is designed for hands-on engagement and roundtable discussion. Delegates can attend their preferred workshop session. Tinker workbench —Led by Humanities, Arts and Social Sciences Data Enhanced Virtual Lab (HASS DeVL) team. In the final session of the program, the convenors will host a discussion on infrastructure, sustainability, and international collaborations – where are we, and where might we go together?